I spotted bunches of both golden and red small sized beets at our local market this weekend and could not resist buying them. 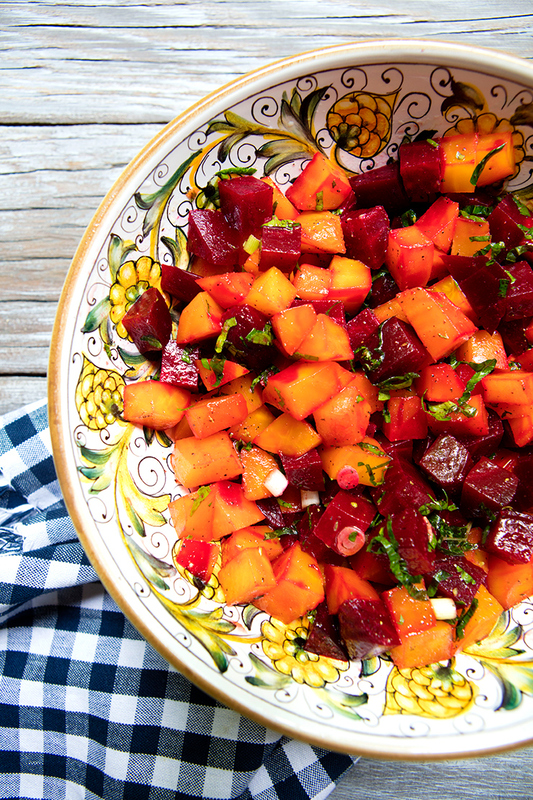 We love roasted beets and enjoy eating them whenever we can, so I first roasted the beets to bring out their sweetness before adding a light piquant dressing to serve them in this tasty salad. 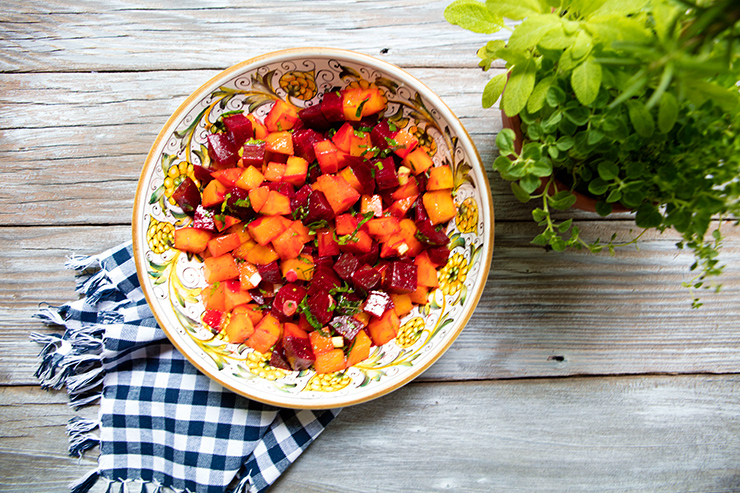 This salad stores well making it a great option for summer picnics. Sometimes I like to top this salad with goat cheese crumbles, though the salad is great on its own. 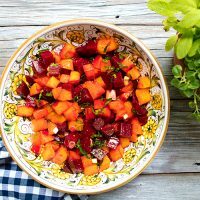 I used white balsamic vinegar rather than the dark variety in this recipe as I did not want to spoil the color of the golden beets, but if you were using red beets only, the dark balsamic would work fine also. This salad would store well for a few days in the refrigerator if it lasts that long! Just remove the salad from the refrigerator at least 45 minutes before serving. 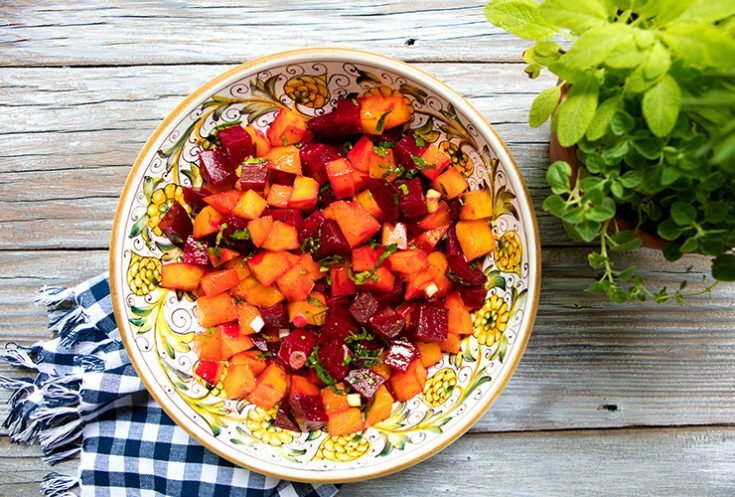 Roasting beets brings out their natural sweetness in this salad that would be a great summer side dish. Place the beets in a large casserole dish and either cover with a lid or with aluminum foil. Roast the beets until fork tender, about 1 1/2 hours. Peel the beets and cut into 1/2 inch cubes. Place the beets in a bowl. Mix together the remaining ingredients and then pour these over the beets. Toss to coat evenly and serve.